Whirley Pop Stovetop Popper from Wabash Valley Farms is a wonderful "Throw-back" to the traditional way of making popcorn! 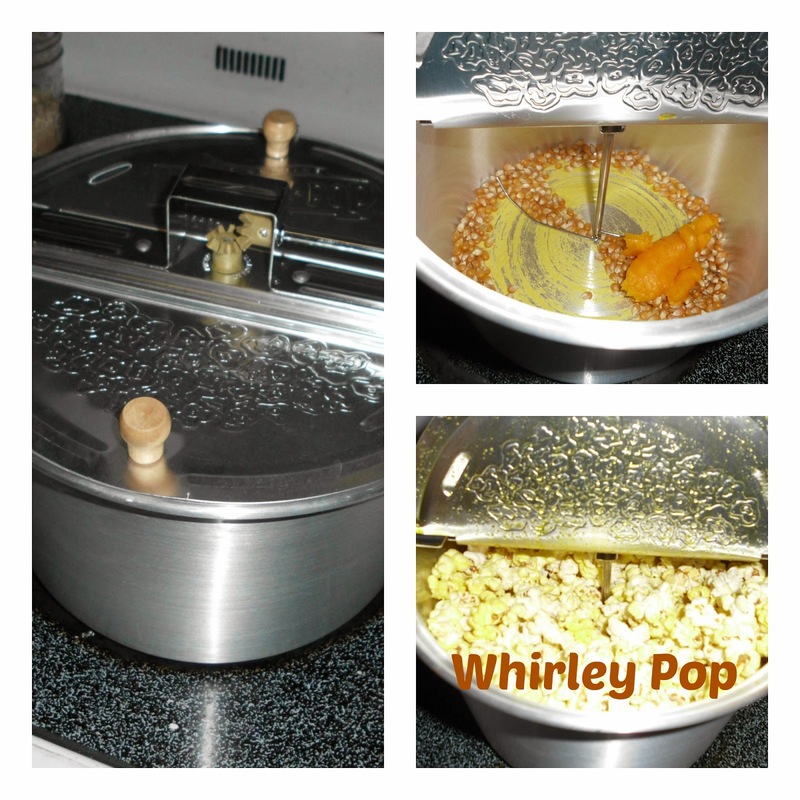 What fun we had using the Whirley Pop with their complete Movie Theater Popcorn Packet. The popcorn really did taste as wonderful and buttery as the movies! The stovetop poppers is so easy to use. I set up my 11 year old to make 2 batches for us! It takes less than 5 minutes to have a steaming hot bowl of fresh popped popcorn. It was much more flavorful than dry air popped popcorn. When we used our own kernels and oil to make the 2nd batch, we are making a healthier batch than using a microwave style popcorn. No preservatives! 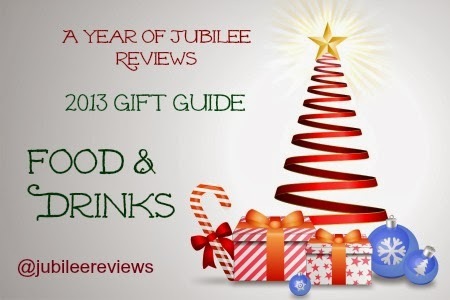 You just open the package and all of your seeds, seasonings and oils are right in the package. It made a nice full amount of popcorn! You can also use your own kernels about 1/2 cup to make a batch yourself. 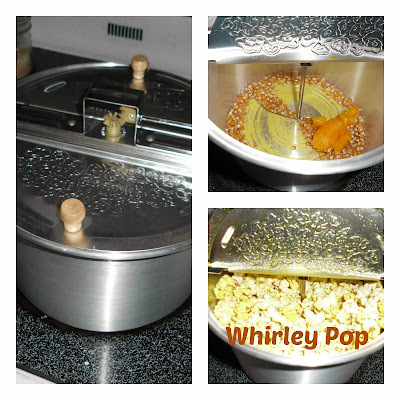 Whirley Pop has some fantastic seasonings you can add to your popped corn. The 4-seasoning Sampler Pack had Cheddar, Ranch, Jalapeno, and Butter seasonings. Popcorn makes an excellent gift to celebrate a family movie night. Now you can incorporate the family in the fun of making the snacks as well! Fantastic popcorn, fun for all. I highly recommend Whirley Pop Stovetop Popper! I have been wanting to buy a stovetop popper. I am getting tired of the microwave popcorn and think this would be fun. I do like this one.